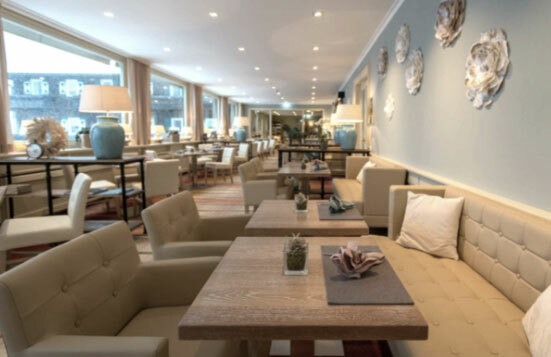 Spring sees fresh new looks at the Original FX Mayr Health Center both in the dining room and tea bar with the arrival of new head chef, Andreas Wolff. 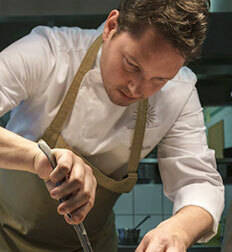 A Brandenburg native, Head Chef, Andreas Wolff, is used to cooking at the renowned Fischers Fritz in Berlin and the Bellevue Palace. Today, the culinary delicacies at the Original FX Mayr Health Center bear his indistinguishable signature. By working closely with nutrition scientist Walpurga Hummitzsch, Andreas will be continually refining the Original FX Mayr menu with his new and diverse creations. He loves to put individual seasonal ingredients in the spotlight, allowing his guests to experience foods’ purest flavour. New signature dishes include Filet and Caviar of Char on herb puree with truffle vegetable fettuccine. Char is a member of the salmon family and caught fresh from the region so it is particularly rich in omega-3 fatty acid. Char caviar adds a distinctive nutty, buttery flavour and is packed with valuable nutrients such as vitamin B12, vitamin E, magnesium and iodine. Truffled vegetable pasta and fresh herb puree offer a light, fresh and healthy alternative to refined carbohydrates found in bread or pasta which add little or no nutritional balance to a daily meal. Buckwheat crepes are filled with a carrot and herb puree and served with parsnip and root vegetables to create a mineral bombshell – ideal for the start of the cure as alkaline minerals help aid detoxification of the body. The famous Original FX Mayr vegetable bouillon sees a reboot for spring and is now also offered in beetroot, herbal and carrot flavours. All are still rich in minerals, easy to digest and act as the ultimate alkaline balancer – a staple evening meal at the clinic, as they are ideal for regeneration, aid good quality sleep and are naturally slimming. In addition to the food and kitchens, the dining room debuts a fresh new look. New interiors feature a neutral colour palate with calm, warming tones that offset the elegant wood furniture and intricate detailing and gives the room a relaxing, feel-good atmosphere.